That's sort of how the mid-Malaise Era went; you could opt to swap your rapidly-eroding dollars for the already obsolete Chevrolet Chevette, or for a much larger car made by an obviously doomed manufacturer. The Spirit was built on the aging Gremlin chassis, and you could even get a not-so-quick AMX version. 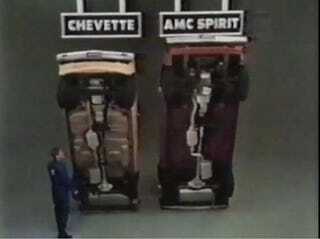 Still, we'd have taken the Spirit over the Chevette, if only for the possibility of getting a 304 V8 with a 4-speed.